This manual includes the the “lesson plans”, the curriculum for each of the 10 one and one half (1 1/2) hour weekly sessions. In addition, we have added an Addendum to the original Move With Balance® book, which contains new, exciting exercises that are not in the book, but are presented in the same manner as the book—the WHY and HOW we do the activities. 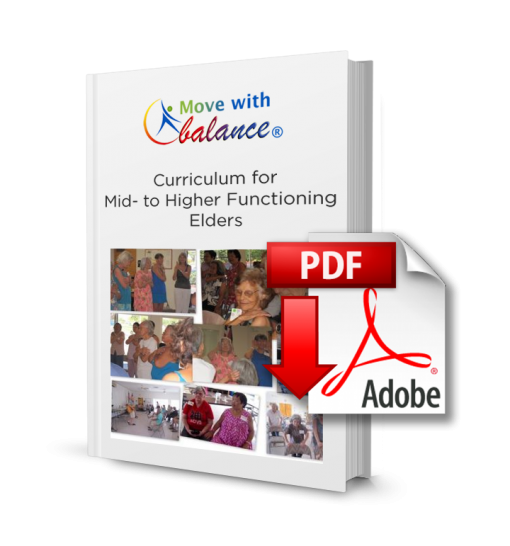 We have successfully used this curriculum with frail elders, including those with dementia at our local senior center and nutrition sites. 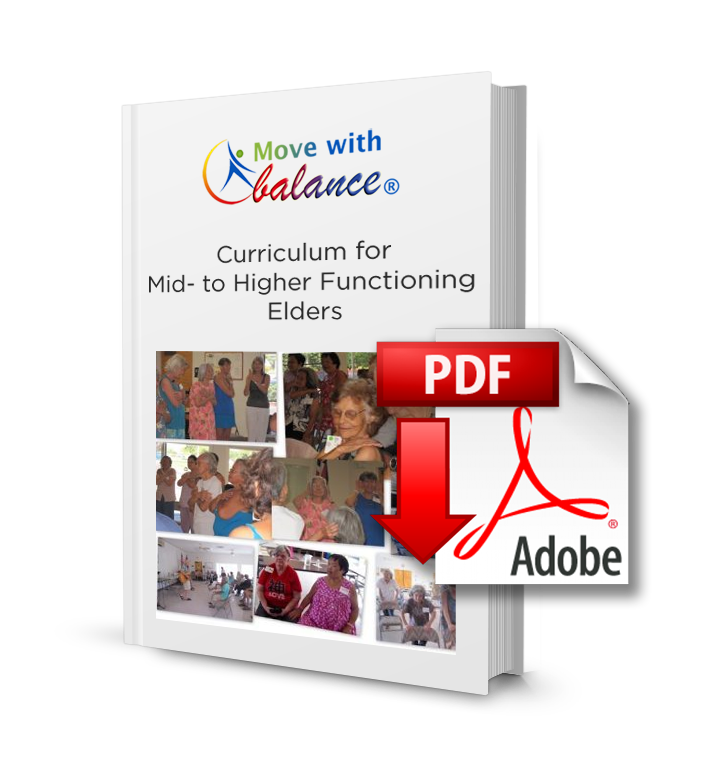 In the addendum we explain new exercises, geared specifically for this mid- to high- functioning group.